Welcome to the church nurturing spirit and service – a liberal religious voice lighting a moral beacon in Central Missouri. 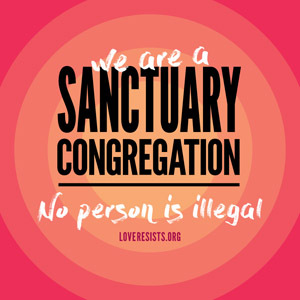 In the spirit of courageous love, we forge a community of radical welcome and deep connection that moves us together to heal the world. We invite you to join us. 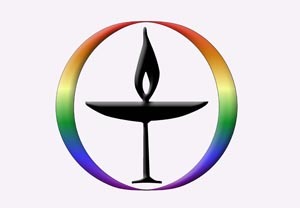 What meaning does the central story of the Christian tradition hold for Unitarian Universalists, with our diverse beliefs and backgrounds? Can we surrender ourselves to the mysterious power of resurrection? Join us to reflect together and enjoy beautiful music from a guest string quartet. The service will include a Child Dedication ceremony. The Faith-to-Action collection will benefit City of Refuge. In April, the Forum Group is being coordinated by Wayne Anderson, Tribune travel writer. He will present a series titled “Travel from Different Perspectives.” The April 21 program will be “My Sabbatical Year: Three countries and the FBI up close and personal.” Read about Forum. Instead of their usual class, the children will participate in a Service Sunday. Congregants are asked to bring canned food that will be hidden for the children’s Easter Can Hunt. After the cans are found, they will be prepared for donation to the food bank. On regular class Sundays, our 9 a.m. children’s R.E. curriculum, called “Spirit Play,” is based on a Montessori approach to learning that encourages self-directed exploration. The children attend the first portion of the 9 a.m. worship service before going to their class. Free nursery care for infants to 3-year-olds will be available beginning at 8:45 a.m. Read more. Mindfulness Meditation takes place from 10:05 to 10:50 a.m. every Sunday in the Centering Room or Schweitzer classroom – or, if the weather is suitable, outside around the Fire Circle. On fourth Sundays throughout the year, Mindfulness Meditation takes place at the Fire Circle whatever the weather (unless it is raining). Meditators of all levels of experience are welcome. This is mainly silent meditation with some instruction, if needed, and with brief selected readings from eminent teachers. Our hope is to build a group of UU members committed to regular meditation practice. Email Peter Holmes for more information. Instead of their usual classes, the children will participate in a Service Sunday. Congregants are asked to bring canned food that will be hidden for the children’s Easter Can Hunt. After the cans are found, they will be prepared for donation to the food bank. On regular class Sundays, we offer an R.E. program at 11 a.m. for pre-schoolers through junior high school students, as well as nursery care for infants. The children and youths attend the first portion of the 11 a.m. worship service in the Sanctuary with their families before going to their classes or other scheduled activities. Free nursery care for infants to 3-year-olds will be available until 12:30 p.m. Read more. The Accessibility and Inclusion Ministry (AIM) Team will hold its regular monthly meeting. For more information, email either of the co-chairs, Gretchen Maune or James Cutts. Our Caring Ministry Team will hold its regular monthly meeting. All are welcome to attend. For more information, either either of the co-chairs, Meredith Donaldson or Win Scott. Members of YRUU will not meet on April 21 because they will be resting up from their labors hosting the annual Easter Brunch on Saturday, April 20. Our Social Action Team organizes volunteers to provide the evening meal at the Loaves and Fishes Soup Kitchen on the third Sunday each month. Click the following green button to sign up to prepare food for this meal and/or to help set up, serve, and clean up. Please submit receipts for all food items, and some or all of your expenses may be reimbursed by the church. Food items should be delivered to Wilkes Boulevard United Methodist Church, 702 Wilkes Blvd., by 4:45 p.m. Please do not leave food items for Loaves and Fishes at UUCC because of the difficulty of transporting these items. It is best to use disposable cooking pans (available in the UUCC kitchen) rather than cookware that must be returned to the owners. If you have questions, email Diane Suhler of the Social Action Team. Are you somewhere in your 20s-40s and looking for deeper connection? Join us for a potluck meal and conversation on the third Sunday evening of the month. Childcare and pizza will be provided for children.